In the event of a dispute over the identity of an online entrant, entry will be deemed submitted by the "Authorized Account Holder" of the e-mail address submitted at time of entry. Authorized Account Holder means the natural person who is assigned to an e-mail address by an Internet access provider, online service provider, or other organization that is responsible for assigning e-mail addresses for the domain associated with the submitted e-mail address. Any entrant may be required to show proof of being the authorized account holder to Sponsor’s satisfaction. Entry materials/data that have been tampered with or altered, or mass entries or entries generated by a script, macro or use of automated devices are void. The Sponsor is not responsible for: (i) lost, late, misdirected, damaged or illegible entries; or (ii) error, omission, interruption, deletion, defect, delay in operations or transmission, theft or destruction or unauthorized access to or alterations of entry materials, or for technical, network, telephone equipment, electronic, computer, hardware or software malfunctions of any kind, or inaccurate transmission of or failure to receive entry information by Sponsor on account of technical problems or traffic congestion on the Internet or at any web site or any combination thereof; or (iii) any injury or damage to entrant's or any other person's computer related to or resulting from participating in the Sweepstakes. Sponsor is not responsible for the incompatibility of entrant’s hardware, software or browser technology. By participating in the Sweepstakes, you (i) agree to be bound by these official rules, including all eligibility requirements, and (ii) agree to be bound by the decisions of Sponsor and the independent judging organization, which are final and binding in all matters relating to the Sweepstakes. Failure to comply with these official rules may result in disqualification from the Sweepstakes. Sponsor reserves the right to: (i) permanently disqualify from any Sweepstakes it sponsors any person it believes has intentionally violated these official rules; and (ii) withdraw the online method of entry if it becomes technically corrupted (including if a computer virus or system malfunction inalterably impairs its ability to conduct the Sweepstakes), and to select winners from among all eligible entries received prior to withdrawal. 1. 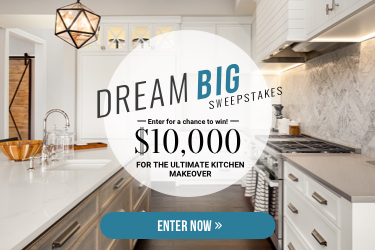 Eligibility: The Dream Big Sweepstakes (the “Sweepstakes”) is open to legal residents of the 50 United States and the District of Columbia, age 18 or older at the time of entry. Void in Puerto Rico and wherever else prohibited by law. Employees, shareholders, officers, directors and agents of TI Media Solutions Inc. (the "Sponsor"), Coastal Living, Cooking Light, Entertainment Weekly, Food & Wine, Health, InStyle, Money, MyRecipes, People Magazine, People en Espanol, Real Simple, Southern Living, and Travel + Leisure, their respective parents, subsidiaries, affiliates, advertising and promotion agencies, and the immediate family members of, and/or those living in the same household of each, are not eligible to enter. Sweepstakes is subject to all applicable federal, state and local laws and regulations. 2. Timing: The Sweepstakes begins at 12:00:01 AM Eastern Time ("ET") on Friday, June 1, 2018 and ends at 11:59:59 PM ET on Friday, November 30, 2018 (the "Sweepstakes Period"). Administrator’s computer is the official time-keeping device for the Sweepstakes. Method #2: Mail-in Entry. Mail a postcard, including your name, complete address, daytime phone number and email address to: Dream Big Sweepstakes, 625 Panorama Trail (Suite 2100), Rochester, NY 14625-2437. Each postcard must be mailed separately and must be postmarked between Friday, June 1, 2018 and Friday, November 30, 2018, and received by Friday, December 7, 2018 (the "Mail-in Entry"). Photocopied, illegible, or mechanically reproduced entries are not eligible. All entries become the property of the Sponsor and will not be returned or acknowledged. Sponsor is not responsible for lost, late, damaged, misdirected or postage-due mailed entries. Entry Periods: There are two (2) Entry Periods as defined in the chart below ("Entry Period"). Entries must be received during the Entry Period to be eligible for that Entry Period drawing. Non-winning Entry Period entries will not be rolled over to subsequent Entry Periods. Grand Prize: Two (2) Grand Prizes are available to be won. One (1) Grand Prize will be awarded each Entry Period during the Promotion Period. Grand Prize includes $10,000 Cash. The ARV of Grand Prize: $10,000.00 each. The total ARV of all prizes available to be won: $20,000.00. 5. Random Drawing: One (1) potential Grand Prize winner will be selected for each Entry Period during the Promotion Period in a random drawing from among all eligible entries received for that Entry Period. The drawing for each Entry Period will be conducted on the dates indicated in the chart above by US Sweepstakes & Fulfillment Company, an independent agent of the Sponsor whose decisions are final. 6. Winner Notification: Potential Grand Prize winners will be notified via email and/or phone, and will be required to sign and return, within seven (7) days of initial notification, an Affidavit of Eligibility, a Liability Waiver, a W-9 Form and where allowable, a Publicity Release (collectively, "the Releases"). Releases will require the winner to furnish his/her Social Security Number for the sole purpose of tax reporting, as required by law. If a winner is otherwise eligible under these Official Rules, but is nevertheless deemed a minor in his or her state of primary residence, his/her prize will be awarded in the name of his/her parent or legal guardian who must execute the Releases on the minor winner’s behalf, as applicable. Noncompliance will result in disqualification and an alternate winner may be selected. Prize is non-assignable or transferable, except to a surviving spouse. No substitution is permitted except if prize or prize component is unavailable, in which case a prize of equal or greater value will be awarded. Any other incidental expenses on prize not specified herein are the sole responsibility of each winner. Once the prize has been delivered to the winner’s residence, the prize is considered awarded. Except where prohibited by law, entry and acceptance of prize constitute permission to use each winner's name, prize won, hometown, likeness for purposes of advertising, promotion and publicity (including online posting) in any and all media now or hereafter known throughout the world in perpetuity, without additional compensation, notification or permission. Winner acknowledges that the Sponsor and all other businesses affiliated with this Sweepstakes and their agents do not make, nor are in any manner responsible for any warranty, representations, expressed or implied, in fact or in law, relative to the quality, conditions, fitness or merchantability of any aspect of the prize being offered, except that any merchandise prize shall be subject to its manufacturer’s standard warranty (if any and if applicable). 8. Release: Participating entrants agree to these Official Rules and the decisions of US Sweepstakes & Fulfillment Company and the Sponsor, and release the Sponsor, Coastal Living, Cooking Light, Entertainment Weekly, Food & Wine, Health, InStyle, Money, MyRecipes, People Magazine, People en Espanol, Real Simple, Southern Living, and Travel + Leisure and their respective parents, affiliates, subsidiaries, and related entities, successors and assigns, units and sponsors, divisions and advertising and promotional agencies, prize suppliers and all other businesses involved in this Sweepstakes, and all entities involved in the production, sponsorship and/or promotion of the prize, or any part thereof, including, without limitation, the respective directors, employees, representatives and agents of each (collectively, the “Released Entities”), from all claims and liability relating to their participation in the Sweepstakes and the acceptance and use/misuse of the prize offered. Winner assumes all liability for any injury or damage caused or claimed to be caused by participation in this Sweepstakes or use/misuse or redemption of the prize. Sponsor is not responsible for any typographical or other error in the printing of the offer and/or administration of the Sweepstakes and/or in the announcement of the prize. 9. Indemnity: Winner shall indemnify, defend and hold harmless the Released Entities from and against any and all claims, damages, actions, liability, loss, injury or expense, including reasonable attorneys' fees and costs, arising out of or in connection with: (a) winner’s participation in the Sweepstakes; (b) a breach or allegation which if true would constitute a breach, of any of winner's representations, warranties or obligations herein; and (c) acceptance, possession, grant, or use of any prize, including without limitation, personal injury, death and property damage arising therefrom. 11. Privacy: By entering and providing the required entry information, entrants acknowledge that Coastal Living, Cooking Light, Entertainment Weekly, Food & Wine, Health, InStyle, Money, MyRecipes, People Magazine, People en Espanol, Real Simple, Southern Living, and Travel + Leisure may also send information, samples or special offers it believes may be of interest to entrant, or other information or goods offered by its marketing partners. Personal information collected from online entrants is subject to the Coastal Living, Cooking Light, Entertainment Weekly, Food & Wine, Health, InStyle, Money, MyRecipes, People Magazine, People en Espanol, Real Simple, Southern Living, and Travel + Leisure Privacy Policies, which can be found at https://subscription.timeinc.com/storefront/privacy/coastalliving/generic_privacy_new.html?dnp-source=I, https://subscription.timeinc.com/storefront/privacy/cookinglight/generic_privacy_new.html?dnp-source=E, https://subscription.timeinc.com/storefront/privacy/ew/generic_privacy_new.html?dnp-source=E, https://subscription.foodandwine.com/storefront/privacy/foodwine/generic_privacy_new.html, https://subscription.timeinc.com/storefront/privacy/health/generic_privacy_new.html?dnp-source=E, https://subscription.timeinc.com/storefront/privacy/instyle/generic_privacy_new.html?dnp-source=E, https://subscription.timeinc.com/storefront/privacy/time/generic_privacy_new.html?dnp-source=E, http://www.myrecipies.com/PrivacyPolicy.html, https://subscription.timeinc.com/storefront/privacy/people/generic_privacy_new.html?dnp-source=E, https://subscription.timeinc.com/storefront/privacy/pespanol/generic_privacy_spanish.html?dnp-source=E, https://subscription.timeinc.com/storefront/privacy/realsimple/generic_privacy_new.html?dnp-source=E, https://subscription.timeinc.com/storefront/privacy/southernliving/generic_privacy_new.html?dnp-source=E and https://subscription.travelandleisure.com/storefront/privacy/travelleisure/generic_privacy_new.html?dnp-source=E. 12. Official Rules: To request a copy of the Official Rules, see www.coastalliving.com, www.cookinglight.com, www.ew.com, www.foodandwine.com, www.health.com, www.instyle.com, www.money.com, www.myrecipes.com, www.people.com, www.peopleenespanol.com, www.realsimple.com, www.southernliving.com, or www.travelandleisure.com, or send a self-addressed, stamped envelope by Friday, November 30, 2018, to: Dream Big Sweepstakes, Rules Request, PO Box 25466, Rochester, NY 14625. 13. Winner Confirmation: For a written confirmation of the winner (available after Friday, December 14, 2018 send a self-addressed, stamped envelope (no later than Friday, January 11, 2019, to: Dream Big Sweepstakes, Winner Confirmation Request, PO Box 25466, Rochester, NY 14625.